What’s a sure-fire way to make them smile? You’re looking at it! 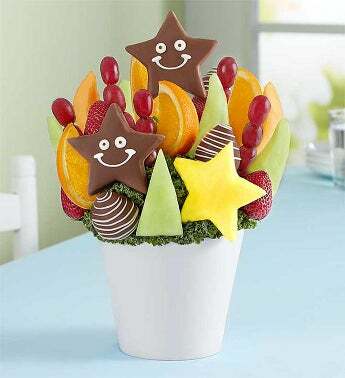 Happy-face pineapple stars are joined by a mouthwatering mix of dipped strawberries and melon in this fun fruit arrangement. 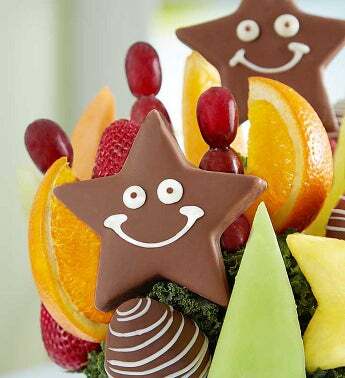 It’s a gift guaranteed to make big celebrations or small everyday moments more memorable.